As we all know that Nokia is all ready to launch its most anticipated smartphone, Nokia 9 on February 24th. 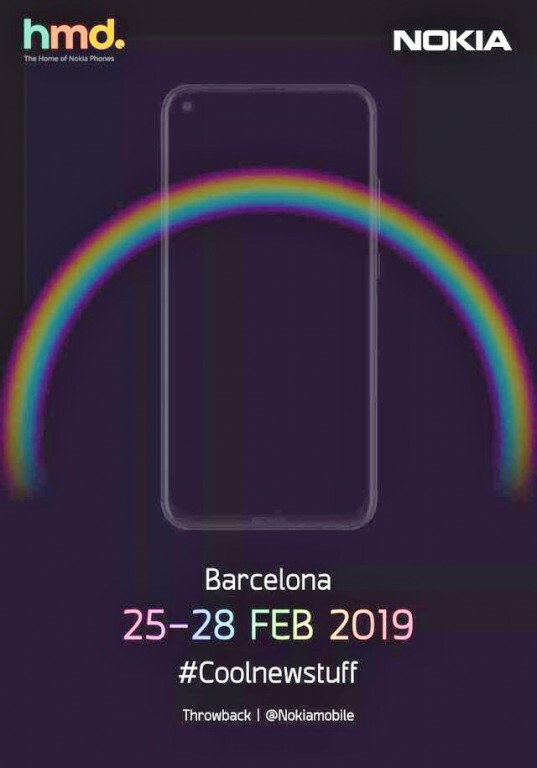 But it seems like that this is not only a single smartphone that the company will launch at MWC. 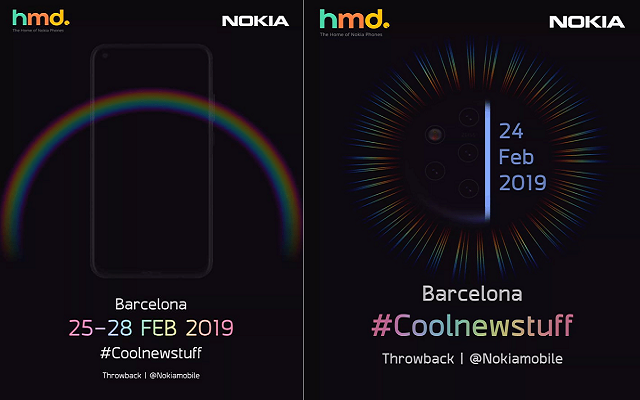 Nokia MWC Event Teasers Reveal a Mysterious Punch Hole Selfie Phone. The teaser reveals that the company will showcase the device on February 25th, a very next day after the launch of Nokia 9. The teaser showcased the silhouette of a phone with a punch hole selfie camera in the top left corner of the display. The company has not revealed any information regarding the phone yet. But the previous rumors reveal that Nokia 8.1 Plus is also ready to launch. So we may hope that it will be Nokia 8.1 Plus. The phone has a 6.22-inch screen and the dimensions will be 156.9 x 76.2 x 7.9mm. The renders show the Nokia 8.1 Plus will have a USB-C port on the bottom with a loudspeaker to keep it company, while the top side houses a 3.5mm headphone jack. On the other hand, Nokia is also working on a cheaper handset, Nokia 1 Plus. According to the leaks, Nokia 1 Plus will feature a big screen as compared to Nokia 1. it will have a 5-inch screen with a better resolution. Moreover, the phone will feature 1GB RAM, and a very cheap, but slightly better, MediaTek processor. Also, the phone will run Android 9 Pie Go Edition. Keeping in mind the specs of both the smartphones, Nokia 8,1 Plus gets more chance to launch on MWC. Let’s see which smartphone, the company will launch at MWC.